17mm lug nut to fit 12x1.5 thread wheel studs (common for most BMWs made before 2012). 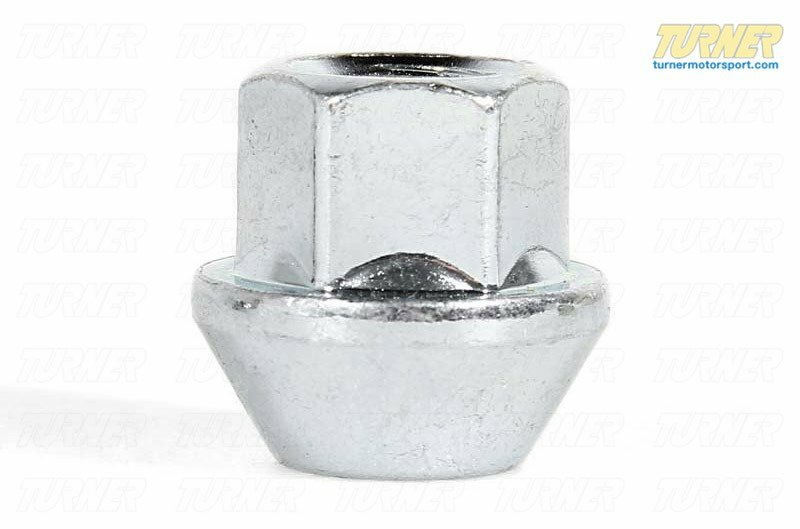 This is a super tough wheel stud nut in a standard 17mm size. 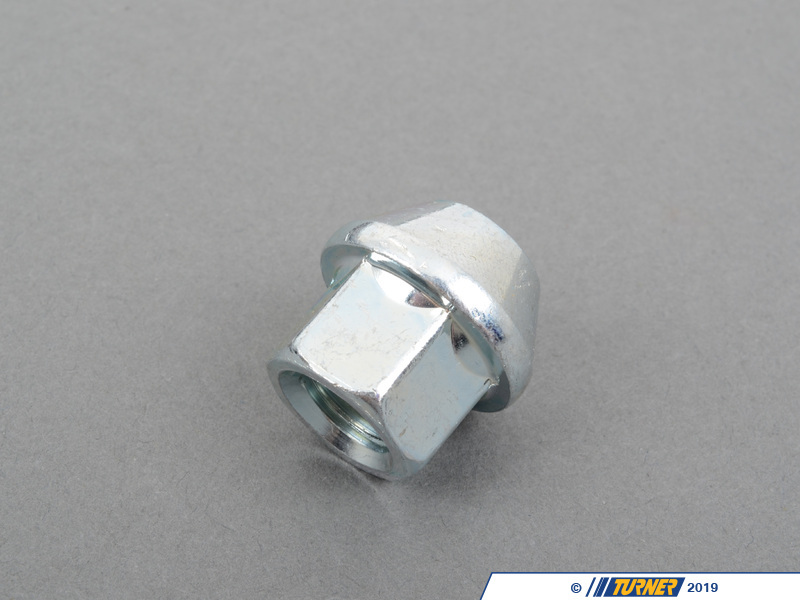 The zinc finish is durable and bright so your eye catches it quick (important during fast pitstop tire changes). 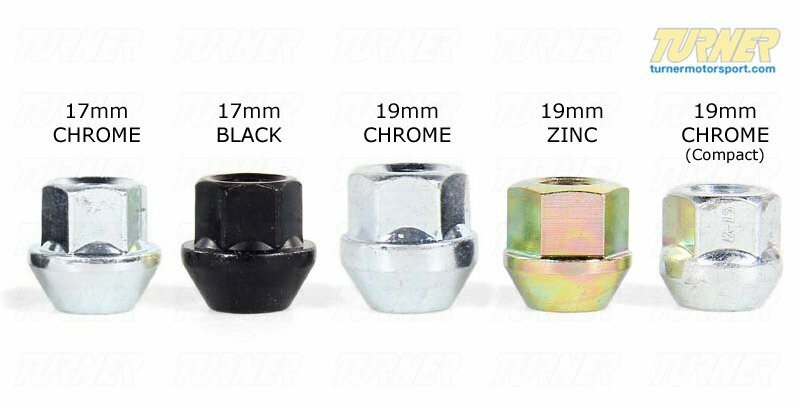 17mm is the standard BMW bolt head size so you won't have to buy extra sockets. 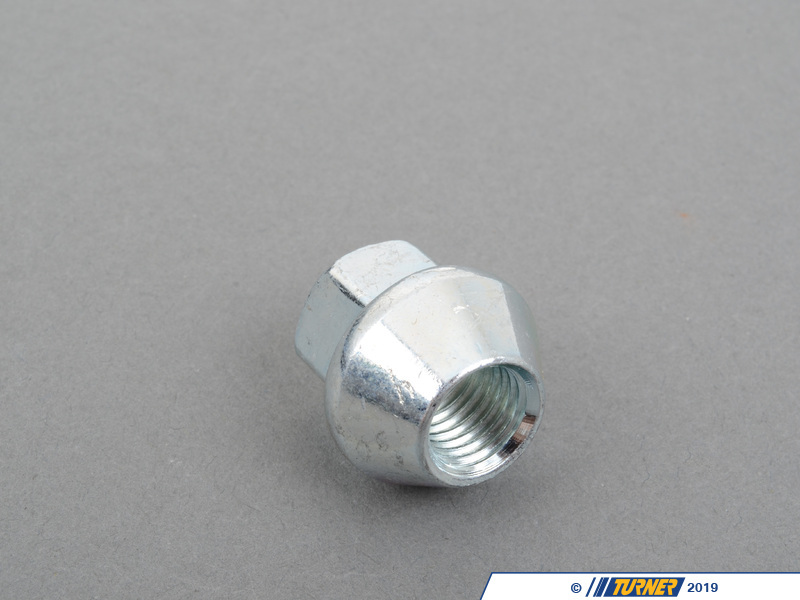 The seat is a standard diameter but may not fit all brands of wheels. 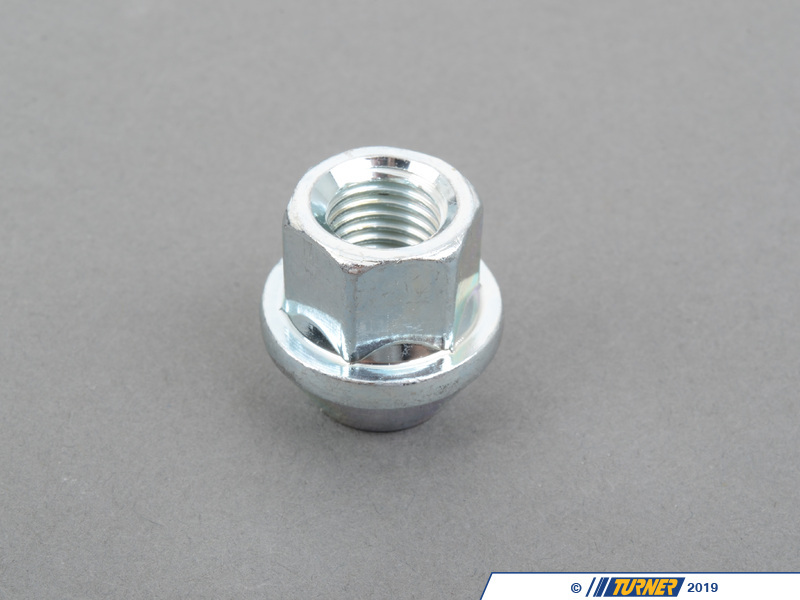 If you have a small diameter bolt bore on your wheels, try our compact 19mm wheel nuts.